Most estate planning professionals are already very well aware that one of the—if not the—most important and valuable provisions of the Tax Cuts and Jobs Act (“TCJA”) is the Code Section 199A and the 20% Qualified Business Income (“QBI”) 20% deduction of non-corporate taxpayers. However, the material surrounding Section 199A is complex and trying to understand and digest what you need to know about it from all of the resources out there can be extremely time-consuming, frustrating, and expensive. This is why you need this in-depth downloadable PDF e-Book at your fingertips! 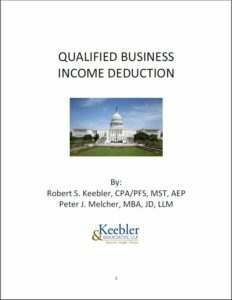 In just over 130 pages, nationally renowned CPA and tax expert, Robert S. Keebler, CPA/PFS, MST, AEP (Distinguished), CGMA and his partner, Peter J. Melcher, J.D., MBA, LL.M., will explain everything that you need to know about Section 199A so that you can confidently and adequately recommend and implement this strategy with your clients! This e-Book is immediately delivered by e-mail in a printable Adobe® PDF file for you and your entire office for just $159. Buy and download your copy today! I read the entire 199A book authored by Bob Keebler and Pete Melcher. In fact, once I started reading it, I lost track of time and later realized that I had read the entire book in one sitting! It was THAT GOOD!!! It is the first and only book of its kind that goes through every angle of the 199A pass-thru business deduction rules, so I can’t think of any reason why EVERY attorney, EVERY accountant, EVERY financial advisor and EVERY trust officer shouldn’t own it and read it from cover-to-cover. The book does a great job of going through the 199A rules using understandable descriptions of complex rules with many real-world examples illustrating how the rules apply and how to maximize the deductions by following certain strategies to shift taxable income, modify the choice of business entity, create non-grantor trusts to create additional taxpayers to take further advantage of the 199A rules, among other creative techniques. Kudos to Bob and Pete for this contribution to the industry! Over 100 pages on the Qualified Business Income Deduction? Do we really need this? You bet we do! 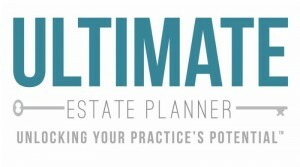 If your clients include sole proprietorships, partnerships, LLCs, S corporations, trusts, estates, qualified cooperatives and real estate investment trusts (REITs), you need to read (and reread!) this book! The strength of this new Keebler-Melcher book is the incredible number of examples the authors have inserted so that every point they make is immediately illustrated with practical examples—and with voluminous citations so you can check directly with the law to confirm their comments and suggestions. We have a few educational teleconferences with nationally renowned CPA and tax expert, Robert S. Keebler, on Section 199A. These programs have all been updated after the final regulations were released in January 2019.